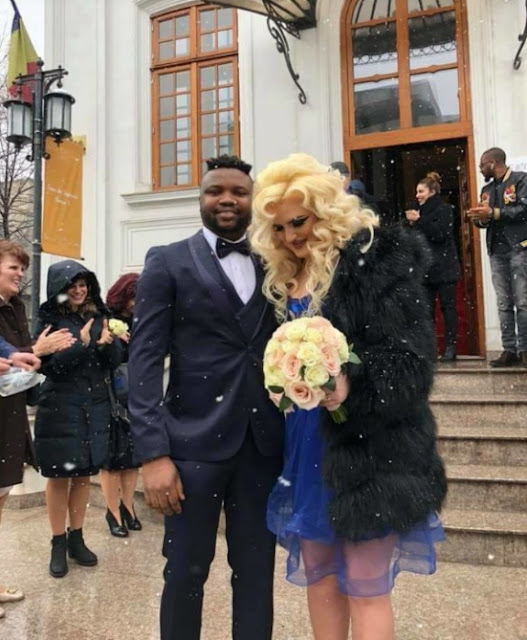 The owner of Romania’s first Night club, Nigerian Big Boy Afolabi Samuel has married his heartthrob. 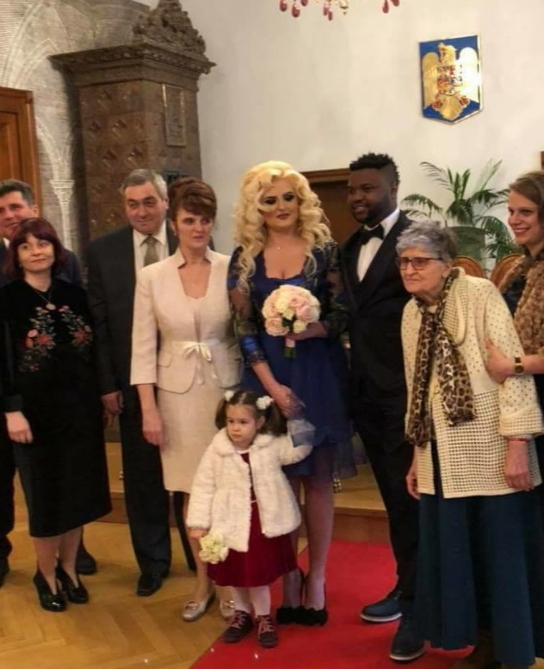 The Europe-based Big Boy who hails from Lagos married the daughter of Romania’s richest woman in a private wedding ceremony that held in Bucharest recently. Samuel is the owner of Sam Club, the first Night Club permitted to operate in Bucharest. Here are some photos from their private wedding ceremony. According to fillers, Afolabi was in a relationship with another lady before he relocated to Romania. His then girlfriend has reportedly relocated to the US. Why is our Oyinbo wife not smiling… e be like say na him force am. Na wa..
Hmmm. 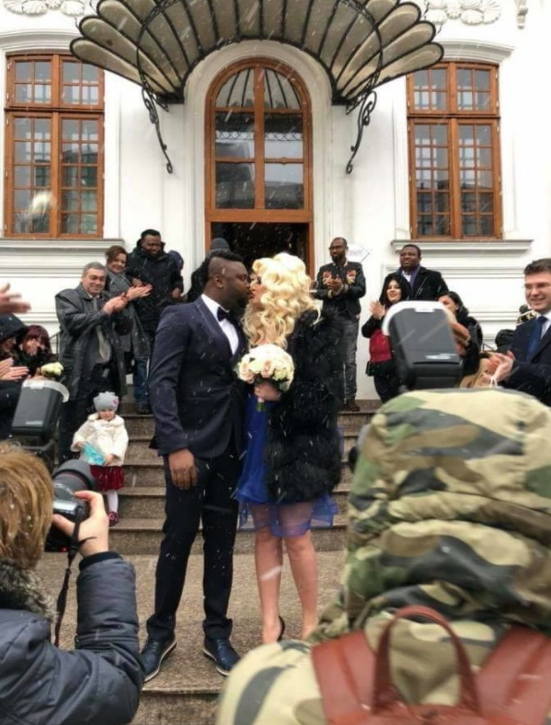 Happy married life to the couple. 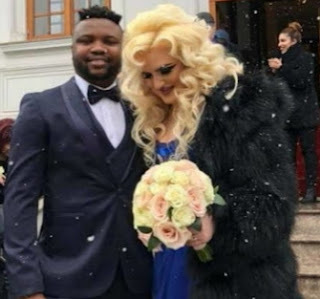 A Nigerian man will never marry without attachment. Dis lady is not his type in every sense. a Yoruba man for dt matter. Your own don good. 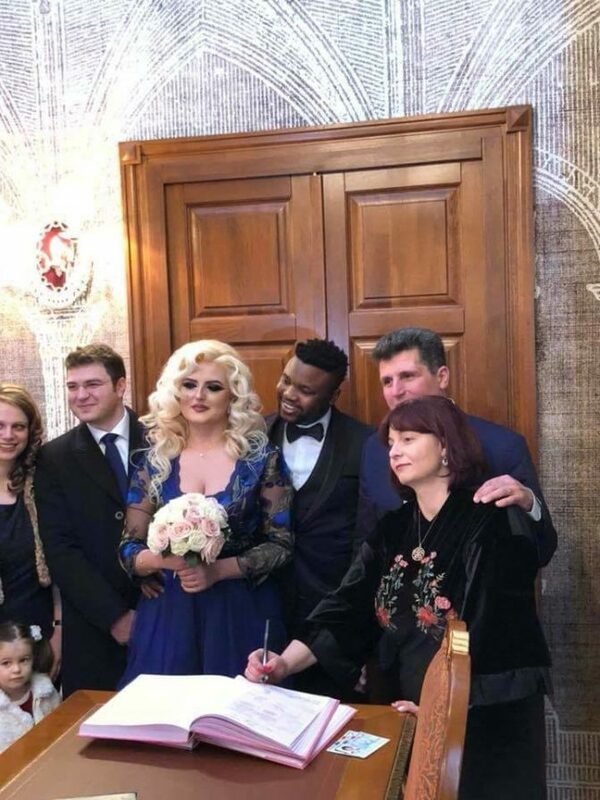 I just hope you signed a pre-nup? 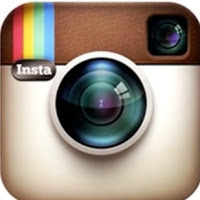 No Eboue story later o!